I’ve been heading down for summer breaks to Salcombe since I was a teenager. Despite working for many travel companies and visiting many exotic destinations, it is a location that has always drawn me back year after year. It’s a great place to sail and that has much to do with it. However, there is much more to offer and in my opinion Salcombe is one of the most picturesque coastal towns in the UK. There are a number of special weeks in the Salcombe calendar. Two deserve specific mention. 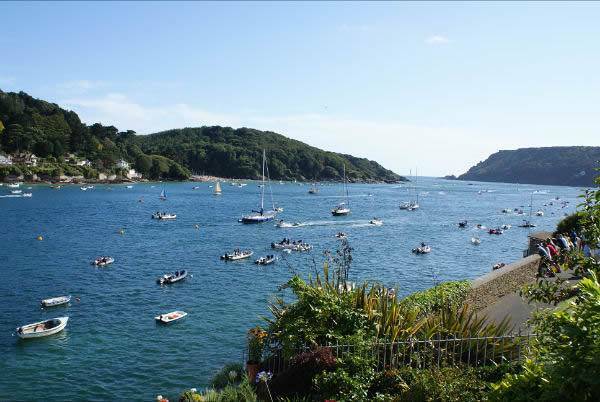 The Salcombe Town Regatta: has a number of events for the whole family throughout a week in early August. From sand castle competitions to spotting the bloomer in the shops, there is plenty to keep the kids amused. The traditional Crabbers Race with the entire fishing fleet dashing out of the estuary at full speed is well worth the watch. Salcombe Yacht Club Regatta: The town regatta switches alternate weeks in early August with the Salcombe Yacht Club Sailing regatta. Even if you don’t sail yourself, the sight of many different boats including the beautiful Salcombe Yawls are well worth a watch from the beach! Renting a house in Salcombe is in my opinion the best way to enjoy the town. 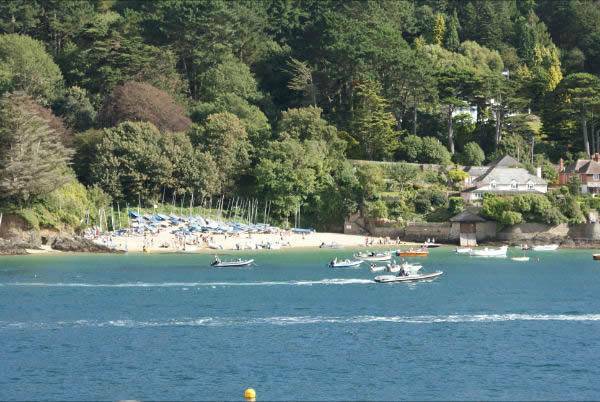 Two firms control the majority of Salcombe holiday rentals – Coast & Country and Salcombe Holiday Homes. A variety of options from flats, to cottages, large houses and waterfront properties are on offer. The main hotel is the Salcombe Harbour Hotel, formerly the Salcombe Marine Hotel. The best feature of this hotel is the commanding view over the estuary. Another hotel with a view can be be found in South Sands at the mouth of the estuary – the South Sands. 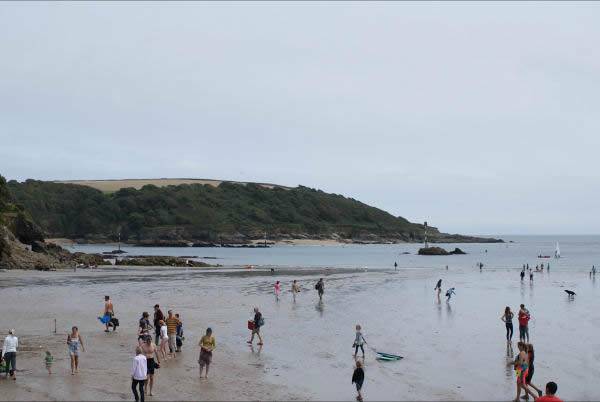 This hotel has fantastic access to the great beach at South Sands but is a significant walk from the town centre. The array of shops in the centre of Salcombe has changed drastically over the last decade as greater wealth has found its way into the town. Many of the main nautical and outdoor leisure brands now have a presence in the town and they always seem to get my credit card details one way or another! Quba Sails is a home grown success story but my tip is to watch out for their factory outlet sales where their fantastic sail-based products can be purchased at a significant discount. Other shops that definitely need a mention are Cranch’s Sweet Shop – an old-fashioned store where you can put pick and mix into their distinctive pink and white stripped bags, and the Salcombe Dairy on Island Street. Try Salcombe Mud – it’s delicious. There are plenty of eateries in the centre Salcombe but in high season do book early! Not all are open in low season so check times. Fish and chips are sold at the imaginatively named “The Plaice” but there is also a fish and chip van that visits numerous locations in Salcombe on a particular day of the week. For my money, the van serves better fish and chips. 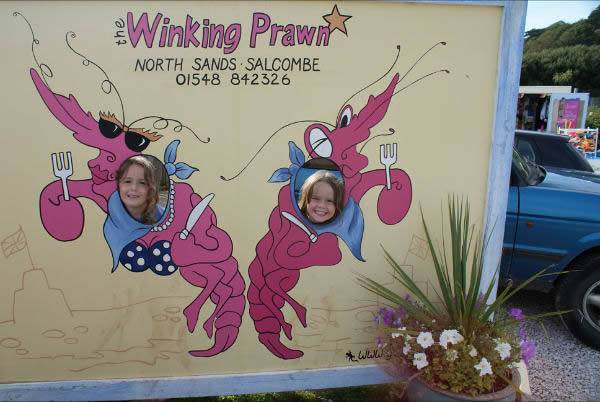 If you are looking to go further afield, try the Winking Prawn down at North Sands. Great food in a casual atmosphere, overlooking the beach, looking out into the estuary. 1)	If renting a property, try and go for one with a parking space. There is not much on street parking in the centre of Salcombe and it will save you both money and time looking for a space. 2)	If you don’t have a parking space you can buy weekly parking permits from the Harbour Office which saves on the daily rate. 3)	Nothing is cheap in Salcombe, including groceries. We get Tesco to home deliver our food for the week. It also saves space in the car but slots do get booked up fast on peak dates. 4)	The South Sands ferry from Whitestrand is a great way to get out onto the water and see the Estuary but is not cheap (especially for a family of 4). If you don’t mind a few steep hills the walk to/from Salcombe along the coast road is well worth it and you only pay for the ferry one way. 5)	In peak season, it always pays to book early. You won’t find a late deal and the few properties left will be expensive. However, in off season, always check the websites of Coast and Country and Salcombe Holiday Homes for late offers. A few years ago we decided on the spur of the moment to head down to Devon for October half term and we were able to pick up a great property for a reduced rate at the last minute. Want to know anything about holidays in Salcombe? Just ask! Mark joined us recently from comparethemarket.com, and whilst we were sad to see that he didn't bring any bossy Russian meer-cats with him, we're happy to soak up a little of his extensive experience in the world of travel!